Established in 2008, the SSCA Foundation, a 501(c)3 corporation, supports the charitable, scientific and educational goals of the Seven Seas Cruising Association, Inc. (SSCA), a not-for-profit entity. 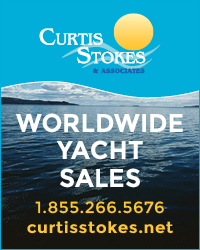 Funds may be used to assist cruising sailors in emergency situations, to educate members through seminars and classes as well as to develop information for the benefit of cruising sailors by awarding grants and sponsoring efforts for the exploration or study of marine weather, ocean currents, sailing routes, vessel seaworthiness, etc. Donations are tax deductible to the extent allowed by law. This fund is to collect contributions to help fund boaters' rights advocacy efforts. The current most pressing matter is to ensure anchorages in Florida are kept open for overnight stays. We are expecting several cities to attempt to close their anchorages via bills filed at the state level through their legislative delegations. The primary use of collected funds is to retain a lobbyist to work on our behalf. Excess funds will be used to help offset travel expenses for Association members who travel to Tallahassee to participate in the process. Once that is covered, if we are fortunate enough to still have excess funds, they will be saved for future advocacy efforts. Donations to this fund go directly towards the current operating expenses for SSCA. These donations are not tax deductible.